Elderly neck pain is a condition which can make one’s golden years a nightmarish experience, particularly when the symptoms are severe and chronic. 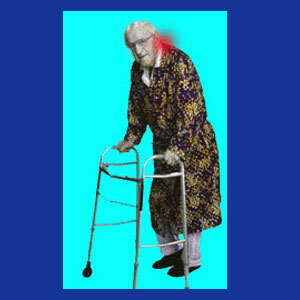 The elderly are often frail and delicate, suffering from a lifetime of injury and spinal degeneration. 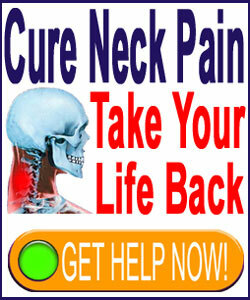 However, statistically, seniors are not the most likely demographic to suffer chronic neck pain. This provides for an interesting dialog regarding the true source of symptoms in many senior sufferers. There is no doubt that seniors demonstrate the most widespread and verifiable spinal deterioration compared to younger age groups. The spine does not get better with age. It only gets worse. However, compared to the age group of 30 to 55, the incidence of significant and disabling neck pain in seniors is far lower. This is surprising to many doctors, but not such a shock to alternate care providers and classically trained physicians who specialize in the growth field of mindbody medicine. This essay examines the occurrence of neck pain in senior patients. Osteoporosis affects many seniors, particularly older females. Loss of bone density can facilitate many problems, including the increase of arthritic processes, vertebral fractures, spinal stenosis and even spinal instability. Severe osteoarthritis is almost a given in the elderly population. Some cases of arthritis in the spine can be problematic, enacting pain through central canal or foraminal stenosis, bone spur formation or facet joint syndrome. Degenerative disc disease is rarely a major concern in seniors, but may be in individual cases. The virtual complete loss of hydration from discs in the cervical spine is commonplace in elders, possibly leading to increased arthritic interaction between vertebrae and spinal joints, as well as facilitating possibly symptomatic herniated discs. Many spinal curvature issues may result from the various degenerative processes which act on an older backbone. Different types of kyphosis are common in the upper back and scoliosis may take place anywhere in the spine. Spondylolysis can result from vertebral joint degeneration and may result in vertebral shifting known as spondylolisthesis. This is usually minor and not symptomatic in low grades, but can be a huge problem when a vertebra moves considerably out of its normal placement and position. There are many anatomical, but nonspinal, reasons for neck pain to occur in seniors. Some may include muscular compression of a nerve or vascular structure, such as in the example of thoracic outlet syndrome. Other pain syndromes may be sourced from a disease process affecting glandular or lymphatic systems in the neck, or even from the many horrific treatments for serious health issues. Chemotherapy, for example, is a treatment which is known to create the potential for terrible pain virtually anywhere in the body. Some cases of psychological neck pain are also exclusive to the elderly. Dr. John E. Sarno writes about these issues in his many books, telling how his research clearly shows that some personality types do not respond well to the id insult of age itself. These patients are subconsciously infuriated at the possibility that they will not live forever and are enraged at the changes in their minds and bodies. Other patients may have regrets for things they have done earlier in life, or things they neglected to do. There is no cookie-cutter answer for why TMS neck pain may exist in seniors, but it must be noted that the occurrence is not as rare as one might think based on Dr. Sarno’s findings. Getting older is known to have benefits and drawbacks. The mind becomes wiser, in theory, while the body crumbles. However, as people who are aging ourselves, we see far more cons than pros. Our bodies can not do the things they once could. Personally, years of hard martial arts training have taken an agonizing toll on my functionality. We suggest that all seniors who have elderly neck pain discuss the possible reasons with their doctors and do not allow any care provider to dismiss you or your symptoms on the basis of age alone. Most pain syndromes can be cured, or at least decreased significantly, when targeted treatment is properly applied. If your doctor has given up on trying to provide you with a marked semblance of relief, get a second opinion from a provider who will take more of an interest in your case. Remember, there are geriatric physicians who specialize in providing the best possible healthcare for seniors just like you.